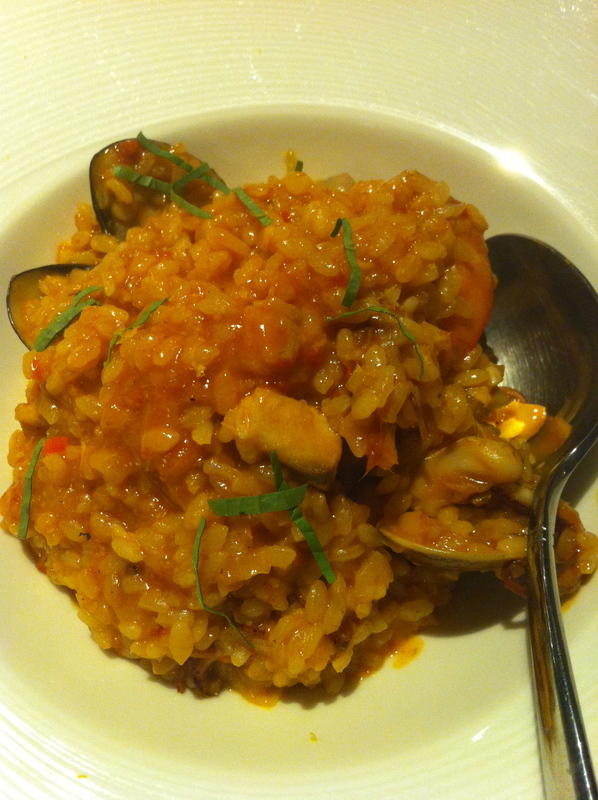 Here is a small yet delightful cafe/bistro dedicated solely to the making of risotto. Located in the narrow lanes between the Taipei City Hall and SYS Memorial Hall, this cozy cafe always attracts a crowd before its beautifully lit windows. In Taipei, all the more well-known, medium-priced restaurants are quite hard to go in without a reservation or a long waiting time. Me and my two girlfriends waited for around 30 minutes, which is not bad considering the size of this place and our spontaneity. This was the salad and soup that went along with the set. Dainty portions but great taste. We came here for the risottos, so we each ordered the three kinds of risottos that they had. 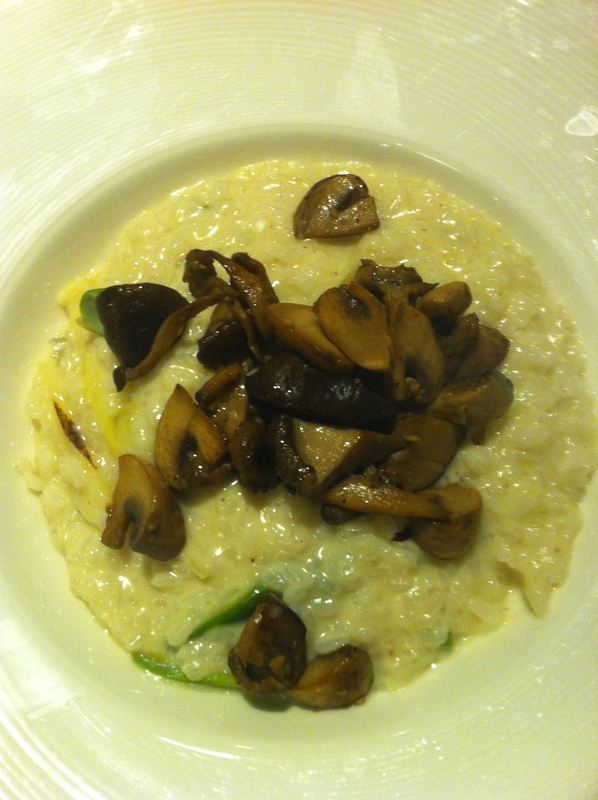 This was our favorite one – the Gongozola Risotto with asparagus and sauteed mushrooms. It looks a bit plain, but the texture was very rich. The cheese flavor is very fresh and creamy, and the vegetables balance it incredibly well! 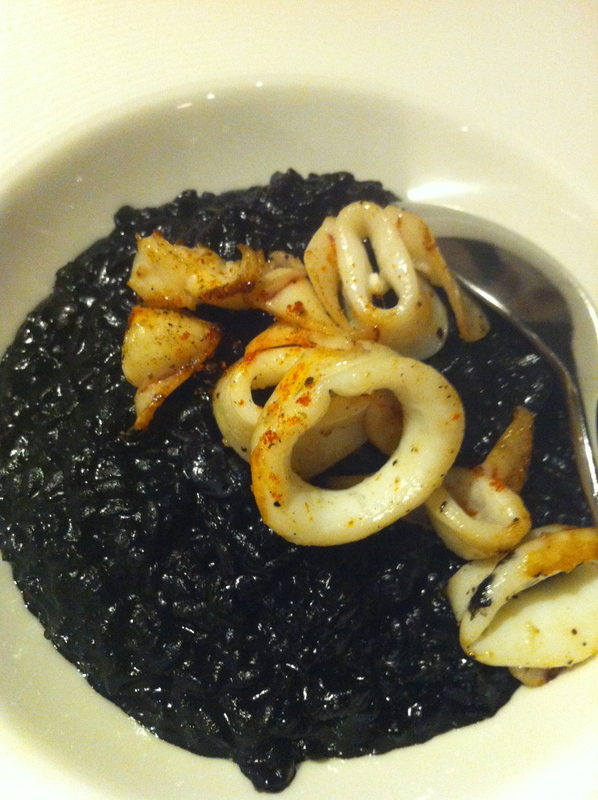 And the last one, Risotto Nero! I would not order this on a date… no matter how delicious it turns out to be. 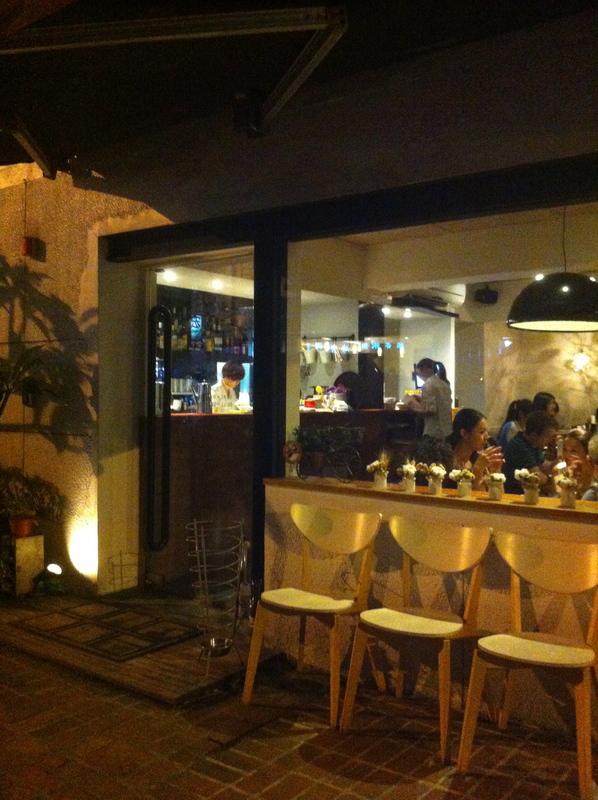 This cafe is located in a very nice area suitable to walk around after lunch or dinner. You can find various coffee shops, restaurants here, and the newly remodeled SongShan Tobacco Factory, which is the newest arts and cultural center in Taipei, is just around the corner! 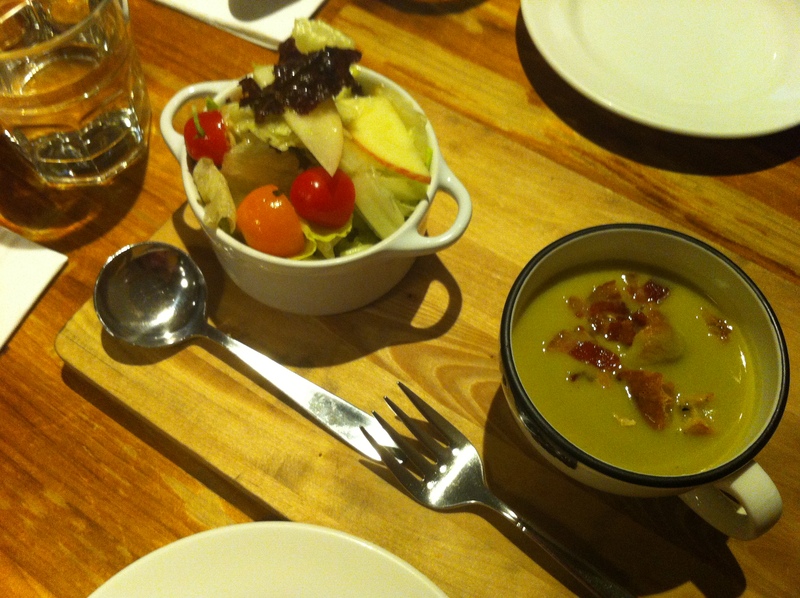 This entry was posted in Stuff we love, Taipei, Taste and tagged bistro, cafe, italian, risotto, Taipei. What’s the risotto nero made of? Squid ink?